This is a joint media release from the Australian Federal Police, Department of Human Services and The National Disability Insurance Agency. A 36-year-old Victorian man has been charged by the National Disability Insurance Scheme (NDIS) Fraud Taskforce for allegedly defrauding the NDIS of more than $400,000. In July 2018, the Australian government announced the establishment of a National NDIS Fraud Taskforce to tackle potential fraud against the NDIS. The Fraud Taskforce is a multi-agency partnership between the Australian Federal Police (AFP) the National Disability Insurance Agency (NDIA) and the Department of Human Services (DHS) which aims to mitigate potential serious fraud within the NDIS and strengthen longer-term fraud prevention and detection activity and capability within the NDIA. The investigation began in July 2018 following several calls received through the NDIS fraud hotline in relation to alleged fraud against the NDIS. On Tuesday 16 October 2018, a joint team of the NDIS Taskforce with members from the AFP, NDIA and DHS, executed a search warrant in the Melbourne suburb of Parkville. 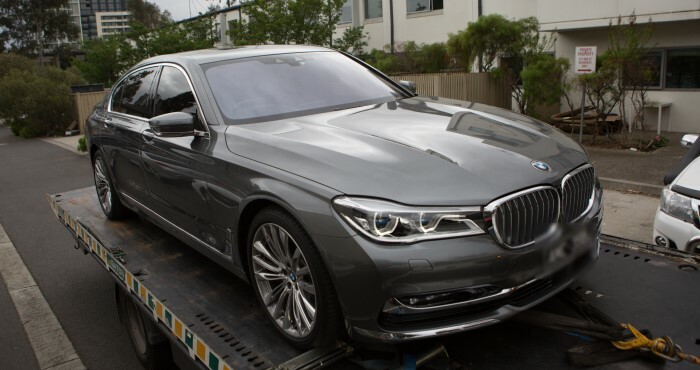 During the warrant, police seized a BMW 7 Series limousine, a Toyota Hilux and several items of designer clothing and jewellery, believed to be purchased with the proceeds of the alleged fraud. The 36-year-old Parkville man was arrested at the location. Police will allege that between June and July 2018 the man defrauded the NDIS in excess of $400,000, with around 200 NDIS participants funds affected. Parallel to the investigation, the NDIA worked to contact all impacted participants, ensuring they were fully reimbursed. The man was charged with the following offences and bailed to appear before the Melbourne Magistrates Court on Friday, 19 October 2018. Cause a loss to another contrary to section 135.1 (5) of the Commonwealth Criminal Code 1995. Attempt to cause a loss to another person contrary to section 135.1 (3) (pursuant to section 11.1) of the Commonwealth Criminal Code 1995. Dealing in proceeds of crime over $100,000 contrary to section 400.4 of the Commonwealth Criminal Code 1995. Dealing in proceeds of crime over $10,000 contrary to section 400.6 of the Commonwealth Criminal Code 1995. The maximum penalty for these offences is 20 years imprisonment. AFP National Manager Organised Crime Commander Bruce Hill said that this first arrest by the NDIS Fraud Taskforce should serve as a warning to other would-be criminals. “This operation sends a clear message – fraud of the NDIS will not be tolerated. The AFP and its partners in the NDIS Fraud Taskforce are dedicated to identifying and disrupting any attempt to defraud in the system,” Commander Hill said. Deputy CEO of the NDIA, Ms Vicki Rundle said the NDIS Fraud Taskforce was a partnership, with a focus on high risk and serious criminal activity targeting the NDIS. “The NDIS Taskforce is about the people the Scheme supports – Australians with disability,” Ms Rundle said. “The NDIA will ensure that participants affected by this alleged fraud have their funds reinstated in their plans where appropriate. “I would like to thank our colleagues in the AFP, and the Department of Human Services, who have worked with the NDIA to investigate and take action in this matter.